Despite these sophisticated safety systems, accidents can happen on roller coasters. While technological failures do account for some of these mishaps, rider errors are also responsible for many problems. By following these roller coaster safety tips, eager riders can avoid many problems on an otherwise fun vacation. An accident-free roller coaster ride begins with proper rider safety. These tips can help all riders enjoy a great ride without compromising safety. Follow all posted signs about rider recommendations and who should not participate in the ride due to health concerns or physical limitations. Be realistic with your own health situation. 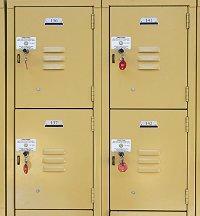 Store loose items in lockers. Listen to ride operators' instructions for properly using safety equipment and how to enter and exit the ride. It may seem redundant, but make sure to pay close attention. Most accidents happen because of rider error. Fasten available seatbelts, lap bars, and shoulder harnesses firmly, tug to ensure they are secure, and keep them fastened until the ride is complete. Always check the safety restraints yourself before the ride starts. Secure all loose articles such as sunglasses, cell phones, keys, hats, wallets, and other items in a zipped pocket, bag, or locker to avoid losing them or having them fly out during the ride and potentially injure other riders. Make sure you don't wear loose clothing that can be caught on something in the ride. This goes for scarves, jacket ties, etc. They should all be removed or tucked in. Do not attempt to take photos during the ride - it is easy for a camera or phone to slip and break or cause injury. Keep hands, arms, and legs inside the roller coaster car at all times to avoid hitting nearby supports, branches, and other objects. Sit properly in the ride without twisting around, kneeling, or otherwise rearranging your body in a way that may compromise the effectiveness of the safety restraints. If you do lose an object on the coaster, alert the ride operator but do not attempt to retrieve the object yourself, even if you can see it beneath the ride. Never climb fences or otherwise enter restricted areas where the coaster or other dangerous equipment may be nearby. With a careful attitude and an eye on safety, many roller coaster accidents can be easily avoided. Basic roller coaster safety tips cannot always prevent ride accidents. When an incident does occur, the best thing a rider can do is remember not to panic. The sophisticated machinery of the coaster has many failsafes to keep riders unharmed, and riders should immediately follow all operator instructions in any unusual situations. Always wait for instructions if a ride malfunctions. Do not exit the ride if it stops unexpectantly until told to do so. Report all injuries to the authorities (rider operators, paramedics, etc.) and be sure to leave proper contact information with the park in case of further extenuating circumstances. 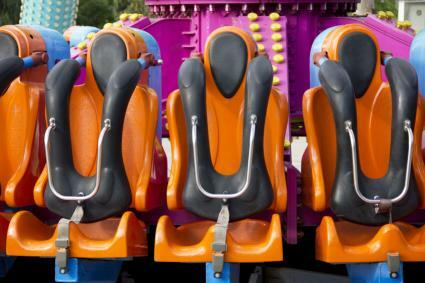 Amusement park rides, including roller coasters, are very safe, but occasionally problems will occur and riders who understand basic safety precautions will be able to avoid larger complications. The best way to be a safe rider is to be a conscientious, alert guest who is aware of and abides by safety warnings and instructions, which will lead to a fun, accident-free theme park visit.